Aspirinox Alloys Inc. is a well-known API 5L Carbon Steel Gr. X42 PSL 1 / PSL 2 Pipes manufacturer and supplier based in India. We supply a variety of API 5L Gr. X42 Carbon Steel Pipes made from carbon steel and various other alloys. We are a company known for its products and offerings. We have acquired the name of being the most prominent supplier of API 5L X42 PSL1 Carbon Steel Pipes by maintaining and supplying a large inventory of ready to sell pipe stock, at a very reasonable price. API5L Carbon Steel Pipes is one of our most widely used grades of carbon steel for all standard thicknesses up to SCH160. API 5L Carbon Steel X42 PSL 1 / PSL2 Seamless Pipes that we offer and all materials are suitable for bending, for flanging, for welding, and for similar forming operations. We specialize in offering precision engineered carbon steel such as the API 5L Carbon Steel X42 PSL 1 / PSL2 Welded Pipes that are made from high-quality raw materials sourced from the reputed vendors in the industry. We design and fabricate a number of different types of API5L pipe sizes at affordable prices to fit for all the needs of our customers. We deliver optimum quality API5L Carbon Steel Grade X42 PSL 1 / PSL2 Line Pipes of various diameters and thickness as well as shapes like Round, Rectangular Pipes, Oval Pipes, Hollow Pipes and Square Pipes are industry-standard conforming to national and international standards. Kindly get in touch with us, our highly qualified sales team is always ready to help you! 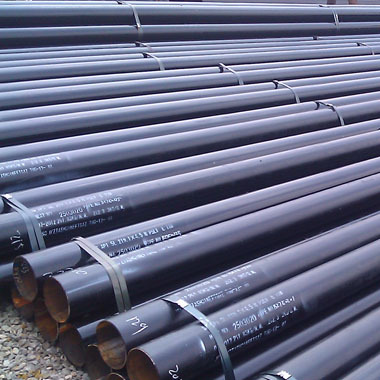 Specifications for API 5L X42 PSL 1 / API 5L X42 PSL 2 Carbon Steel Pipes. If any specification is not mentioned here, please use the contact button for quick quote. Contact us or click on request a quote button to get our competitive prices for API 5L PSL 1/PSL 2 Grade X42 Carbon Steel Pipes. Aspirinox Alloys INC maintain the large inventory of high-quality API 5L PSL 1/PSL 2 Grade X42 Carbon Steel Pipes for sale to our clients throughout globally.